It's a three step process that people usually take towards a final health sharing plan. First, they need to understand how health sharing plans work. A good advocate will also explain how they're different from ACA or Obamacare plans. 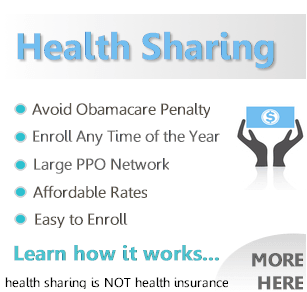 You can find a good introduction of the difference between Obamacare and Health sharing here. Secondly, it then becomes a question of which health sharing plan is best. There are six big ones out there and there's definitely some significant differences between them. You MUST understand these or face buyer remorse. We MUST have a PPO network - the first thing hospitals will ask you for is network card. For many people, this will lead the way to AlieraCare plans. After 20 years in the health benefits markets, this is ONLY one we feel comfortable recommending. We're naturally conservative when it comes options. AlieraCare is poised to become the "go to" option for people who can't afford ACA health plans or don't want to pay high costs. Now on to the third part of our decision making process. What plan within AlieraCare's suite of options makes the most sense. Keep in mind that the plans are the same across all available States and we can help in most of those States. 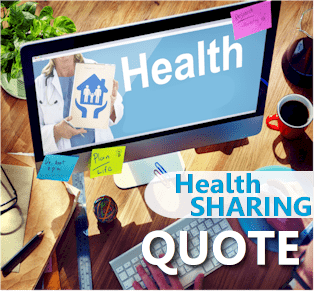 The health sharing plans from AlieraCare are designed to fit different needs. Some are obvious (InterimCare for short term) while the differences are less pronounced as we go up. We'll first carve out the InterimCare plan since it has a fixed time period of 1-11 months. In some States, InterimCare from AlieraCare might be the only option (California, New Jersey, New York, etc) for short term health plan needs. Those States barred other short term health plans as a knee-jerk reaction to Trump's expansion of short term. The other plans can be more long term in nature. The two most popular are CarePlus and the Standard plans. This primarily a function of cost. The Standard plans can be priced about ½ the cost of the bronze plan with no tax credit. The CarePlus plan is even less expensive. Some people do choose the Comprehensive plans for a stronger set of covered expenses. It really depends on the cost. For a single person, the comprehensive plans are priced pretty comparably to the ACA or Obamacare plans. For families with 2 or more people, there may be savings there. Also, if you CAN'T enroll on ACA (missed open enrollment, etc), this may be as close as you can get. You can quote all the different AlieraCare options here. So how do we compare all these? 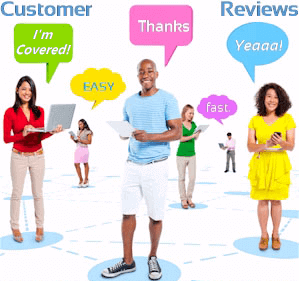 From our experience with 100's of AlieraCare clients, the biggest difference deals with the waiting periods. The 2 and 12 months are the ones that really drive the decision making process. The InterimCare, CarePlus, and Comprehensive plans may not have these. The Standard plans will have these. Some people will get the CarePlus (facility based care) and add the PrimaCare for office and doctor expenses. The pricing of this is generally close to the Standard plans but we have better waiting periods. Let's look at each suite in more detail. This is AlieraCare's short term health plan option. It works very similarly to other traditional health insurance plans but with a health sharing design. In some States that barred short term health insurance, InterimCare may be the only option left for short duration plan design. The big difference is the Out of pocket max and MSRA. For any eligible large expense, this is what really matters since they all have the same $1M policy max benefit. Focus on those two items and the monthly cost. It doesn't have the 2 month for any sharing waiting period or 12 month cancer waiting period which makes it a big draw. Especially if we really do just need a plan until other coverage starts (employer, medicare, Obamacare, etc). Of course, we're happy to walk through questions you have on the InterimCare plan. When we first started a few years ago, we thought the Standard plans would be the main draw. We quickly noticed that the CarePlus catastrophic plan was very popular with people. It's as close as we get to a catastrophic health plan on the market. The ACA set caps under health plans requiring that they cover the 10 essential health benefits and have the bronze set of benefits at a minimum. A true catastrophic plan similar to what we had before 2014 did not exist. The CarePlus catastrophic plan from AlieraCare fits this bill. Open heart surgery averages between $80K and $200K as a benchmark. 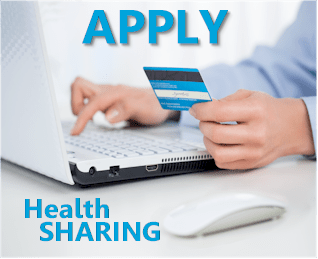 We usually recommend with any of the health sharing plans to go higher on the per incident or max benefit level and reduce elsewhere (MSRA, etc). It's the backend protection that we want the CarePlus for anyway. Some people will add a PrimaCare plan to get first dollar expense sharing for office visits and the like. This was the lead plan suite of AlieraCare as it grew in popularity. It still makes up the bulk of their enrollment. The plan type (Value, Plus, Premium) has an increase in what is cost shared as well as cost. It really comes down to first dollar expenses (doctor visits, specialists, etc). Most importantly, your plan choice affects the per incident max expense sharing. You can also add $500K of additional per-incident max to any of these plans during the enrollment process. We recommend looking at a higher MSRA (to keep monthly cost down) with a higher plan type (Plus or Premium). This offers more protection on the back end but helps to get the monthly savings. They all have a lifetime $1M max benefit but we're really planning year to year now since we can jump onto an ACA or Obamacare plan every Open Enrollment worst case. Not as popular as the other plans, the AlieraCare comprehensive plans will occasionally beat the ACA unsubsidized rates. Of course there are big differences between ACA health insurance and health sharing which you should read up on. Again, these should not be confused with the Obamacare Bronze, Silver, and Gold plans. The expense sharing gets richer as we go up the scale for copays and coinsurance primarily. You also have a choice of MSRA (similar to deductible) within each level. It really comes down to the cost trade off. So how do we compare these options and find the right fit? We'll assume that you don't qualify for a tax credit and are looking for more catastrophic plan designs to begin with (see obamcare versus health sharing). The monthly cost is why we're looking at health sharing plans to begin with. We can't afford the Obamacare or ACA plan (or we can't enroll right now). That usually limits the bronze, silver, and gold plans as they can be priced comparably to Obamacare plans (without tax credits). Not always but usually so run the quote. The InterimCare works well if we know we only need it for a specified period of time. Some people will get InterimCare out to open enrollment and plan to re-enroll when it exhausts. In that case, the CarePlus (with or without the PrimaCare office visit add-on) makes more sense. One application fee and you eat up the waiting period for pre-existing conditions. That then leaves CarePlus versus the Standard plans. This really comes down to the waiting periods for most people. The Standard has a 2 month waiting period for anything and 12 month for cancer. Some people will get the Standard plans and add 2 months of interim care to cover just those 2 months. So cost and waiting periods. That's where the crux of the decision lies. 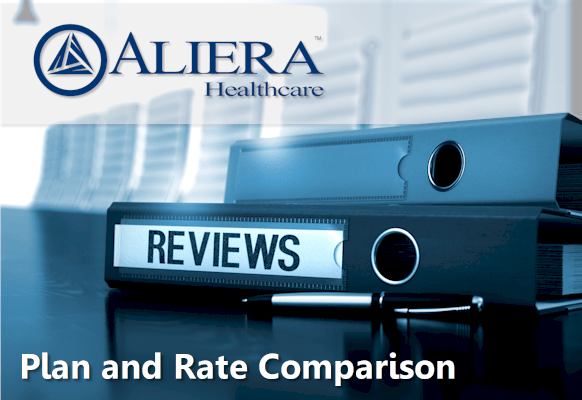 We're happy to help you compare the AlieraCare plan options at 800-320-6269 or by email. It's easy to quote, compare, or enroll in any of the AlieraCare plans. Brochures are also available through the link and the rates will be in the brochure. When you update a line on the app, make sure to hit "refresh" after updating. There are two places that is needed. CarePlus will only have Trinity Healthshare even though AlieraCare is the administrator. Just some housekeeping...the combined rate will match the brochure (plus the one time application fee). All the plans use the PCHS or MultiPlan PPO network. There are over 1M providers nationwide in this network. It's generally richer than what we can find in ACA plans on the individual family market.